Dave Radrigai has learned a lot during Lautoka's run to the OFC Champions League final. Lautoka midfielder Dave Radrigai is somewhat of a late bloomer. 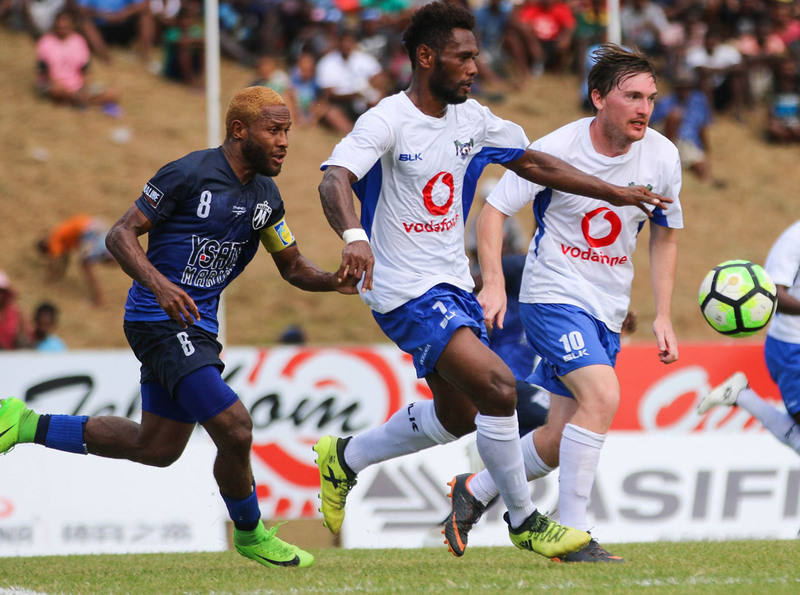 The 30-year-old only recently made his debut for the Fiji national team so lacks some of the big game experience of his teammates, and the opponents Lautoka have met in this OFC Champions League campaign. However he’s held his own with performances that show his talent as a footballer, a growing knowledge of the game and a willingness to constantly improve on the field. What all of that hasn’t prepared him for though, was a set back like that which Lautoka experienced a week ago in Wellington. “It’s everybody’s dream to reach the final,” Radrigai said. “I feel great being in the final, it’s another level of football. “But sometimes, especially as individual players, it’s a lot of pressure facing a big team like Wellington. Radrigai said his own personal experience in the competition so far has been mixed. “It’s sometimes up and down,” he said. “It’s been a big experience for us to reach the final, the top level of football. With a chance to redeem themselves tomorrow, Radrigai is confident the team has it within them to pick themselves up mentally and physically, and perform as best they can once more. “What is driving us is our family and all our teammates that keep us going forward. Radrigai and Lautoka will play Team Wellington in Leg 2 of the OFC Champions League Final on Sunday at 2pm in Churchill Park, Lautoka.